Overlooking the Grande Plage and offering breathtaking views of the ocean, the 4-star Mercure Plaza Biarritz Center is an exceptional address. Overlooking the Grande Plage and offering breathtaking views of the ocean, the 4-star Mercure Plaza Biarritz Center is an exceptional address in one of the most beautiful seaside resorts on the Atlantic coast. Its Art-Déco charm will delight you and its proximity to the congress centers is ideal for your seminars. 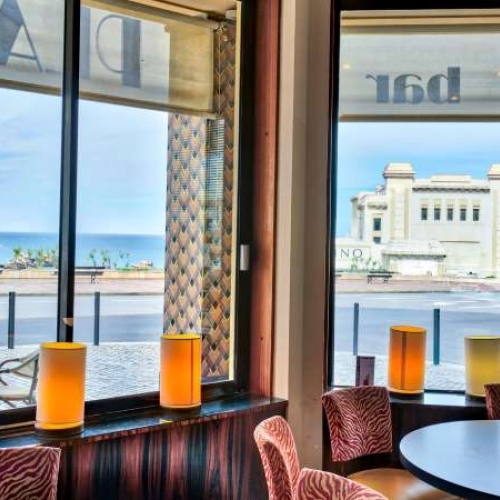 Rooms with sea view and cozy bar with musical atmosphere, all in a building recognized by the Monuments of France. An iodized stay for your next vacation.